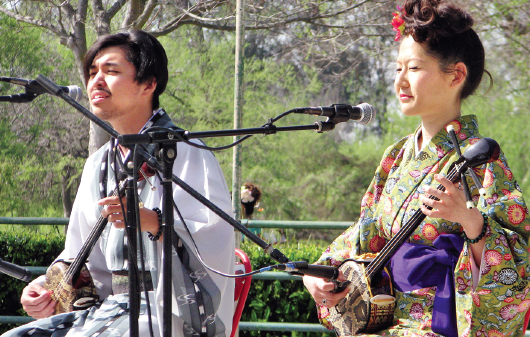 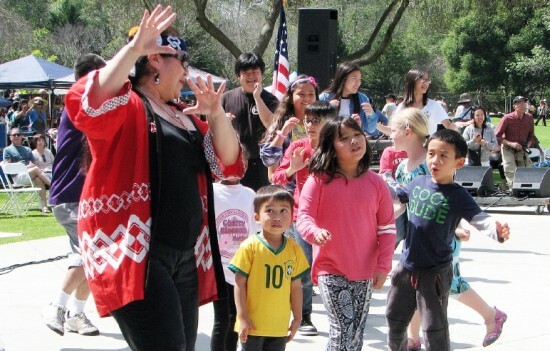 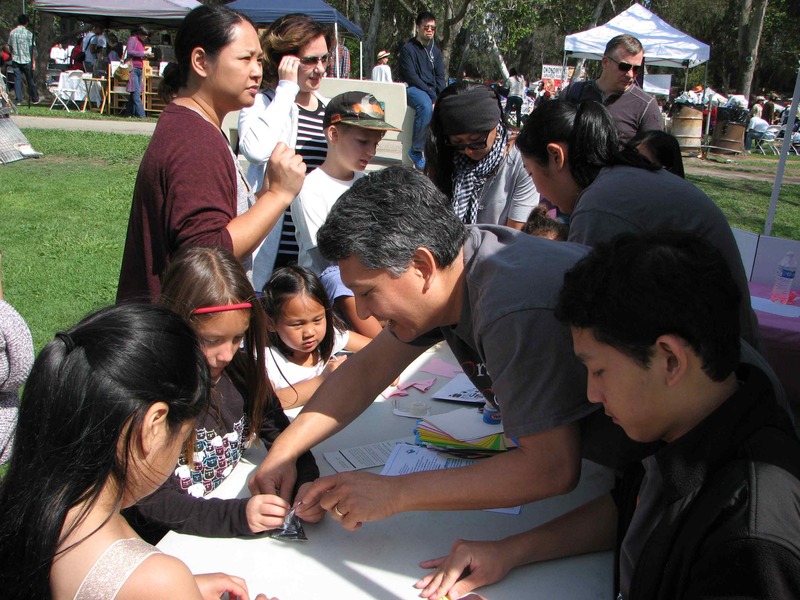 The Sister City Association of Huntington Beach presented the third annual Cherry Blossom Festival on March 20 at Central Park. 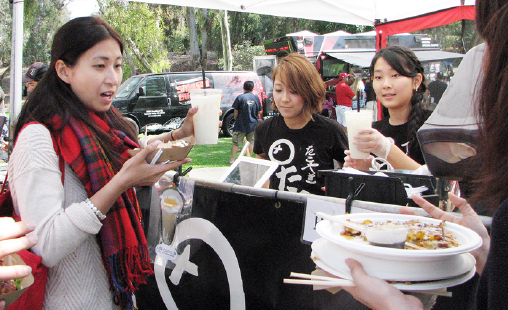 Proceeds support the city’s student exchange program with Anjo, Aichi Prefecture. 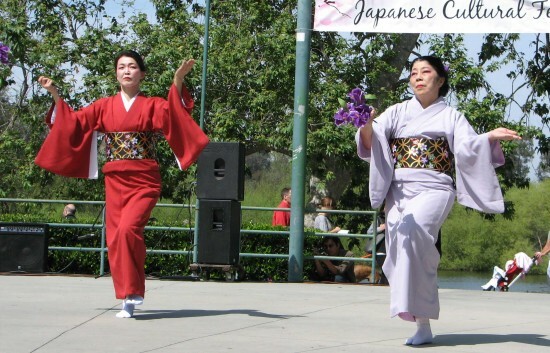 Above: The Little Tokyo Dance Club taught Obon dances to kids from the audience, using both traditional and contemporary songs. 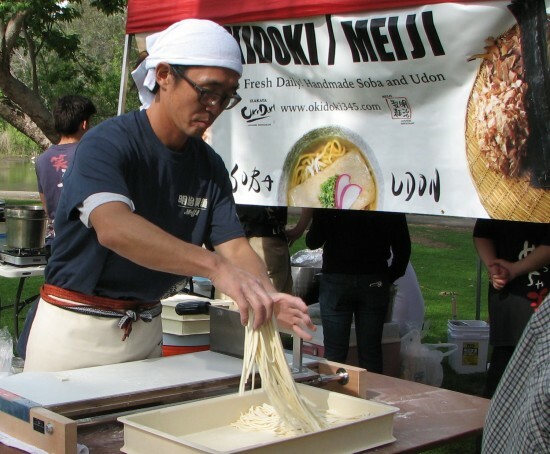 Food vendors included Takoyaki Tanota (above), Ramen Burger, Samurai Burrito, Gaja Okonomiyaki, Sakurai Japanese Grill, OkiDoki/Meiji Noodle Restaurant (below), Echigoya, and VegiLicious. Performers included Japanese classical dance group Mai no Kai (above), Okinawan sanshin players Yuna and Tida (below), Kokoro Taiko, Fujima Ransei, Kineya Yasofujiko Kyooshitsu, and Nancy Hayata. 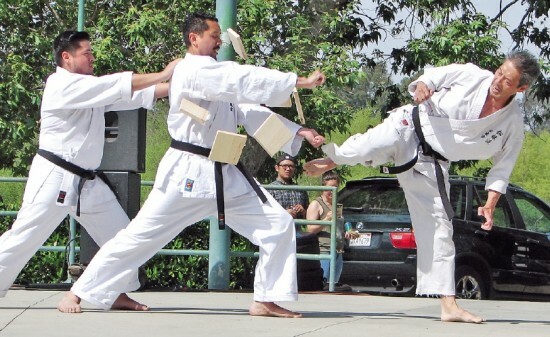 Francois Chau of Little Tokyo-based Matsubayashi Shorin-ryu breaks boards with a precise kick. 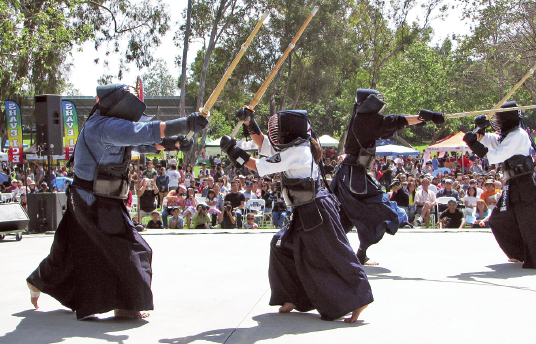 Venice Kendo Dojo, based at the Venice Japanese Community Center, gave a demonstration. 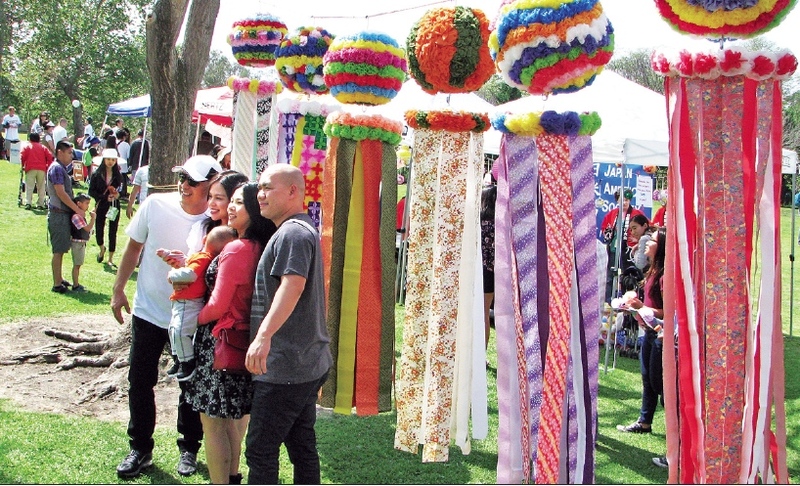 The Los Angeles Tanabata Festival brought colorful kazari and taught a workshop on making paper flowers. 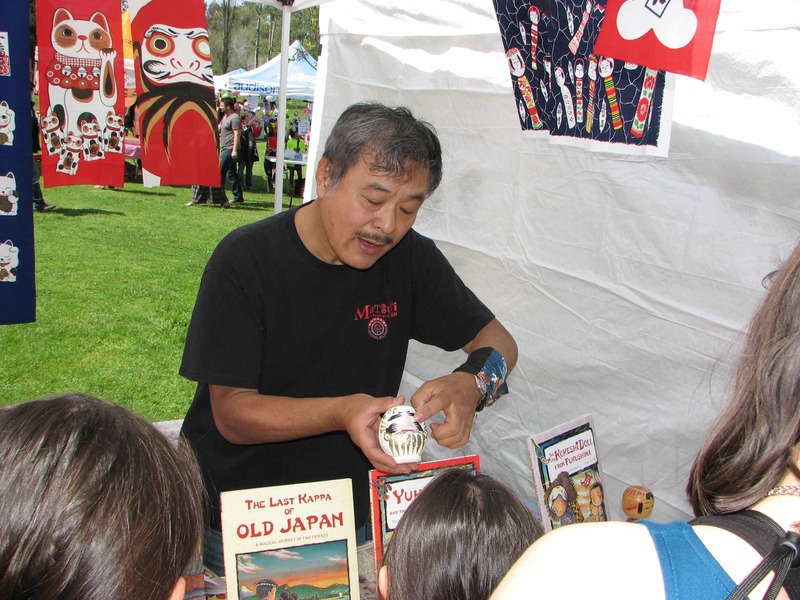 Author/illustrator Sunny Seki explained the Daruma and other aspects of traditional Japanese culture. Orange Coast Gakuen gave origami lessons. 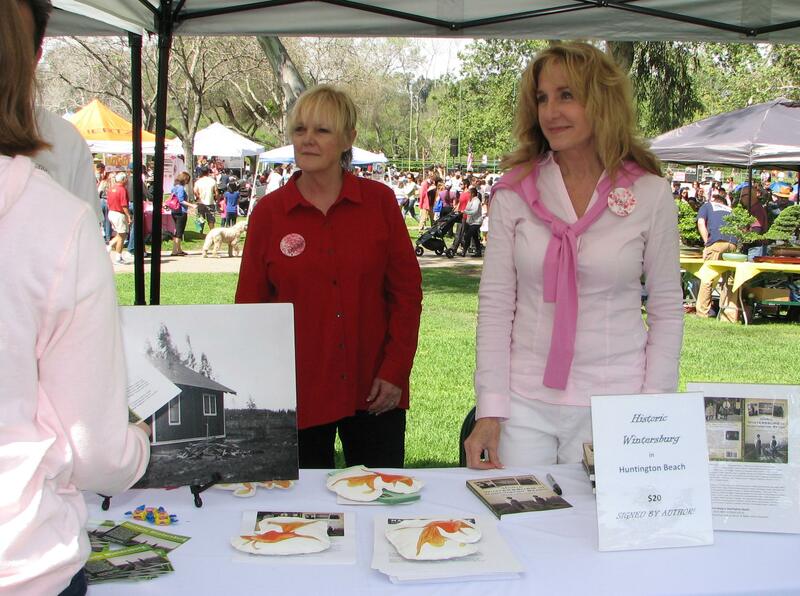 Barbara Haynes and Mary Urashima discuss the work of the Historic Wintersburg Preservation Task Force. 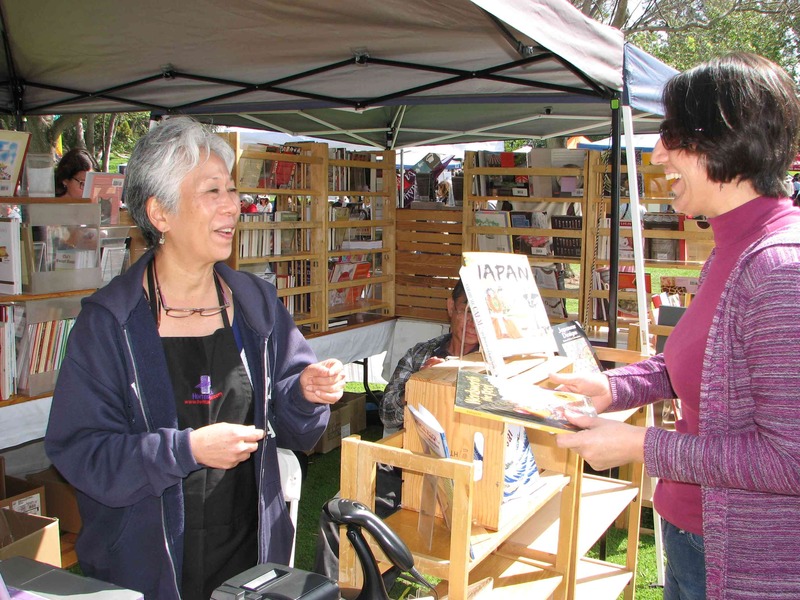 Carolyn Sanwo of Heritage Source sold books about Japan and Japanese Americans. 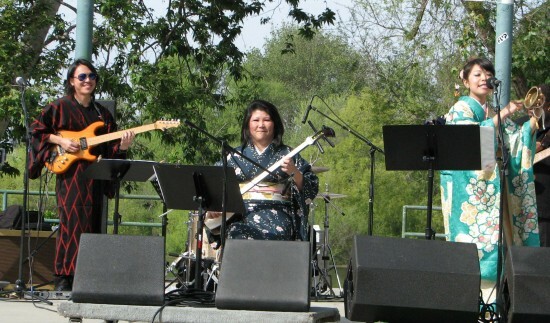 Minyo Station, featuring Yu Ooka (guitar), Loryce Hashimoto (shamisen) and Natsu Summer Matsutoyo (vocals and kane), introduced its “jazzy style” Japanese folk music.